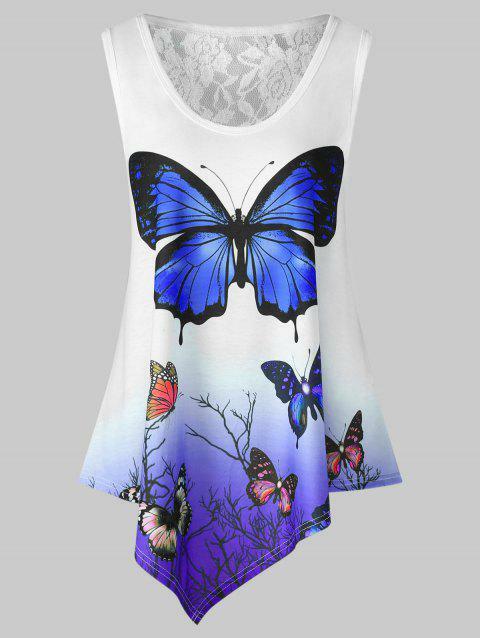 In an easy, effortless fit, this trendy top features a low scoop neck with beautiful butterfly print. The tank top also features a handkerchief shape, an ombre color detail and lace insert detail on the back for a chic look. It drapes beautifully over jeans, jeggings, or shorts for a fantastic summer look!